The original T.U.K. creeper sneaker. 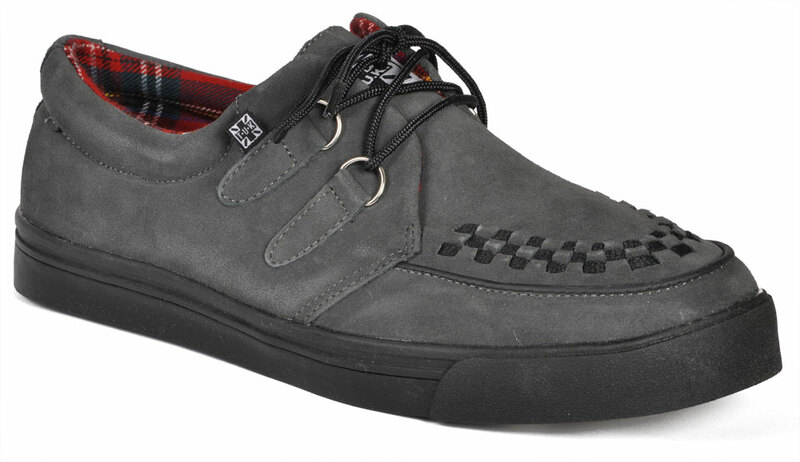 Grey suede with black interlace, red plaid lining, metal D-Ring and skull and bones sole. Unisex style. Single sole shoes. Lace up. Imported from the UK. Awesome shoes. Cant beat TUK creepers. Got them in 2 day and ordered ground! 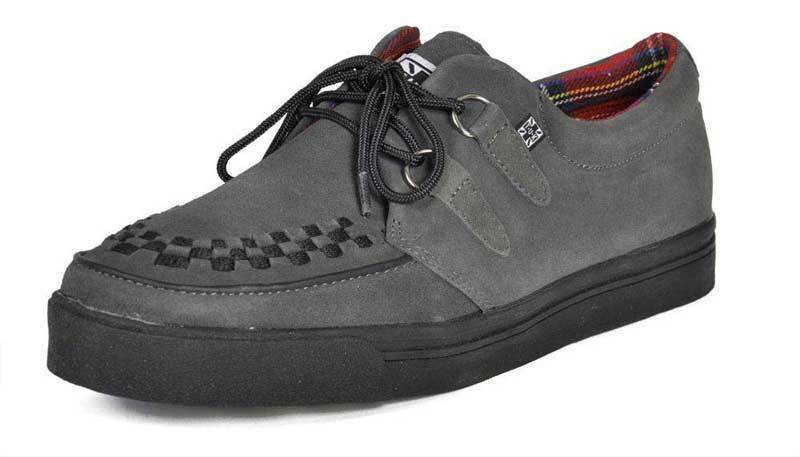 would I recommend theses shoes? Defiantly.